When I first heard about Midas Touch, it was such a cool concept for a beer that it instantly shot up to the top of my "most wanted" list. Essentially, the mad scientists at Dogfish Head, along with with molecular archaeologist Patrick McGovern, recreated the oldest-known fermented beverage in the world by reverse engineering traces of a drink left on 2700 year old Turkish drinking vessels. These weren't just any ancient drinking vessels though, they were allegedly found in the tomb of King Midas. The resulting brew was quite the crossover; part beer, part wine, and part mead. 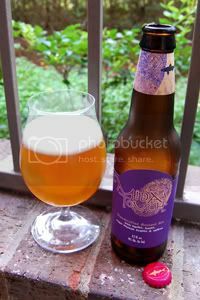 Included in the ingredient list are honey, white Muscat grapes, and saffron in addition to the four traditional elements of beer (grain, hops, yeast, and water). The brewery describes Midas Touch as a "smooth, sweet, yet dry ale that will please the Chardonnay or beer drinker alike." Reception was so good that Dogfish have gone on to create two more "historical recreations," Theobroma and Chateau Jiahu. So, bringing an ancient drink back to life may just be the greatest idea for a beer ever, but does it work in the real world? Let's fill a drinking vessel and find out. Appearance: A crystal-clear golden-amber body with less than a finger of bubbly, off-white head that burns out pretty quickly and leaves little lacing. Aroma: A fruity, floral, perfumy, spicy, and sweet mix. Very unique. Taste: Crisp and dry with lots of grape, making it almost wine-like at times. Underneath there's a light malt backbone with mild accents of honey shining through to ground it all. There's something vaguely chocolaty towards the finish, but I can't quite put my finger on it. Alcohol is there, but masked rather effectively. The aftertaste is grapey and mildly malty. My wife described it as replacing "all the bad things about wine with all the good things about beer." Your mileage may vary. Mouthfeel: Medium bodied with fine carbonation and a dry finish. Some alcohol burn in the mouth, but not too much. 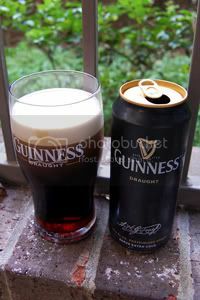 Drinkability: The only thing really holding it back is the alcohol content; a quaffable ancient brew. Verdict: To be perfectly honest, I liked this beer before I ever opened a bottle; the concept of time travel in a bottle is pure brilliance. Now that I've finally got my hands on some tasted it, I'm delighted to find that the beer itself is actually complex and quite enjoyable.